Bad Day Cookies | I Wanna Bake! I decided that the cookie could use a double punch of chocolate, so I substituted ¼ cup of cocoa powder for ¼ cup of the flour. I felt that the result was just right for me, but if you’re really looking for extra chocolateyness, you could go up to ⅓ cup of cocoa powder. 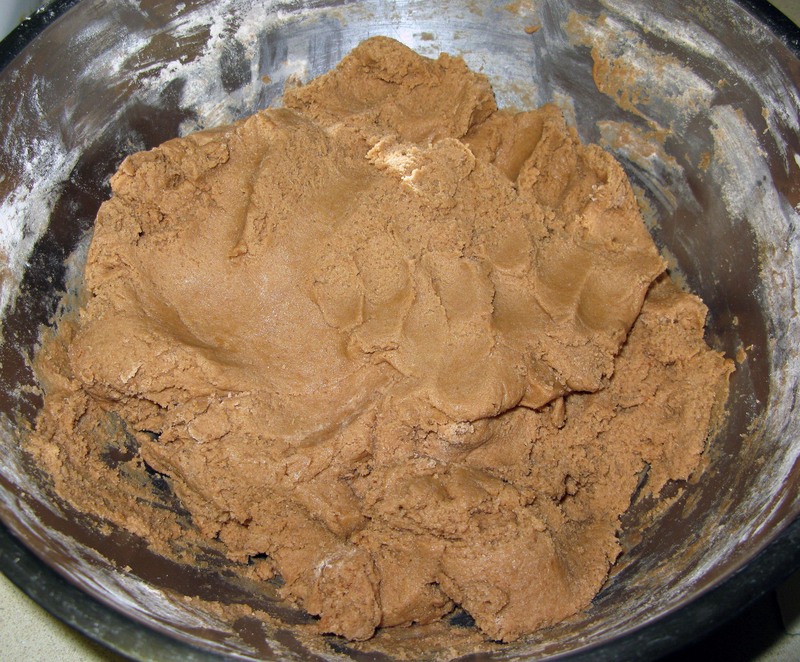 I wouldn’t add more than that, as cocoa powder tends to be dryer than flour, so it will start to alter the consistency of your cookies as you increase its volume in the batter. For some added color and fun, as well as a delightful extra crunch, I added in 6 tablespoons of assorted sprinkles. I am a little bit obsessed with those star sprinkles that I found at TJ Maxx, and this was the perfect time to break them out. I ended up using ¼ cup of those sprinkles and 2 tablespoons of chocolate sprinkles for a little added chocolate, but you can feel free to mix it up however you please. These are meant to make you happy, after all. These cookies are rather enormous (exactly how I like them). If you’re the kind of person who prefers to eat a whole bunch of small things instead of one big one, you can just as easily use a smaller cookie scoop or a tablespoon measurer instead of the ice cream scoop I recommend. Just remember to check your cookies a little sooner (say, after 7 minutes), as they will cook faster if they are smaller. Giant, soft, chocolate cookies not your thing? 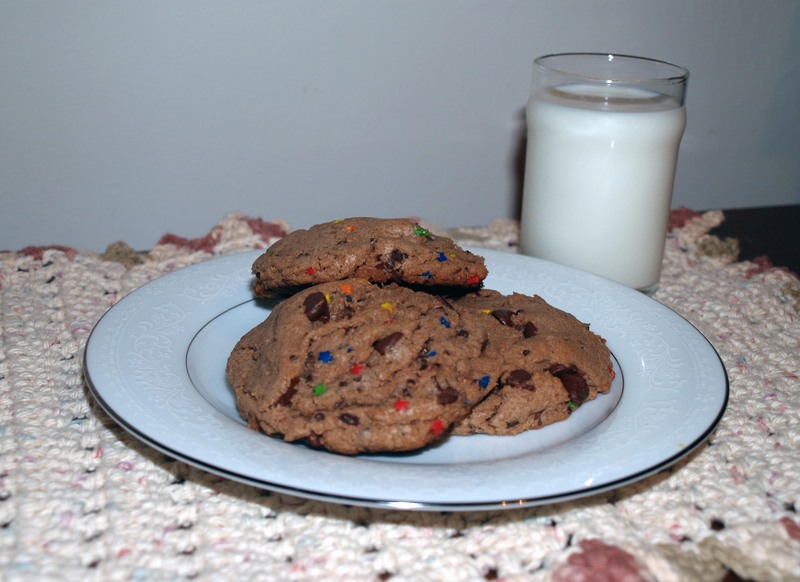 I don’t want to leave you out, so let me know what your ideal cookie is in the comments. I’m always looking for more cookies to add to the rotation! Whatever your go-to happy music is, that’s what you should put on. I’ll usually go with ELO and Parliament, but the reins are in your hands on this one. 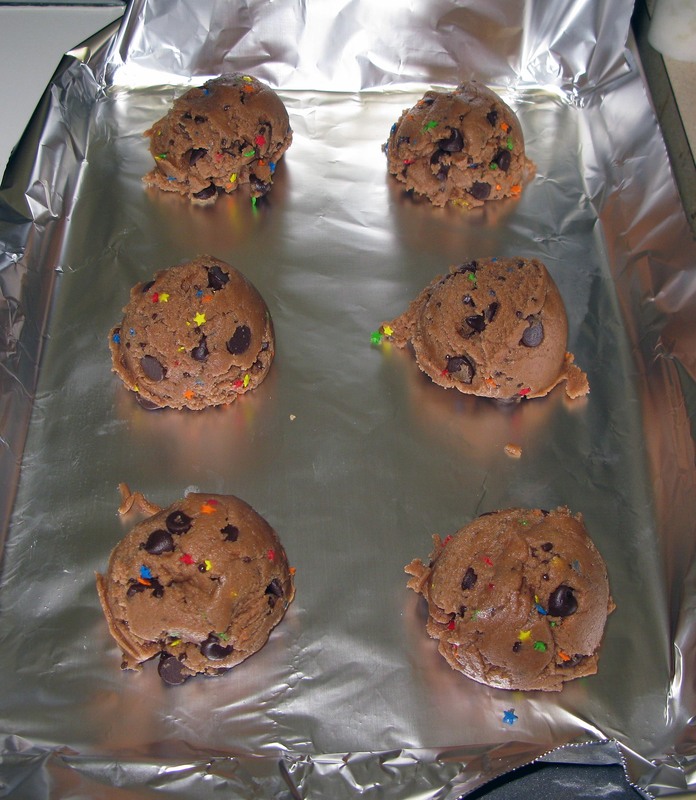 Preheat your oven to 375°F and line cookie sheets with foil or grease them. 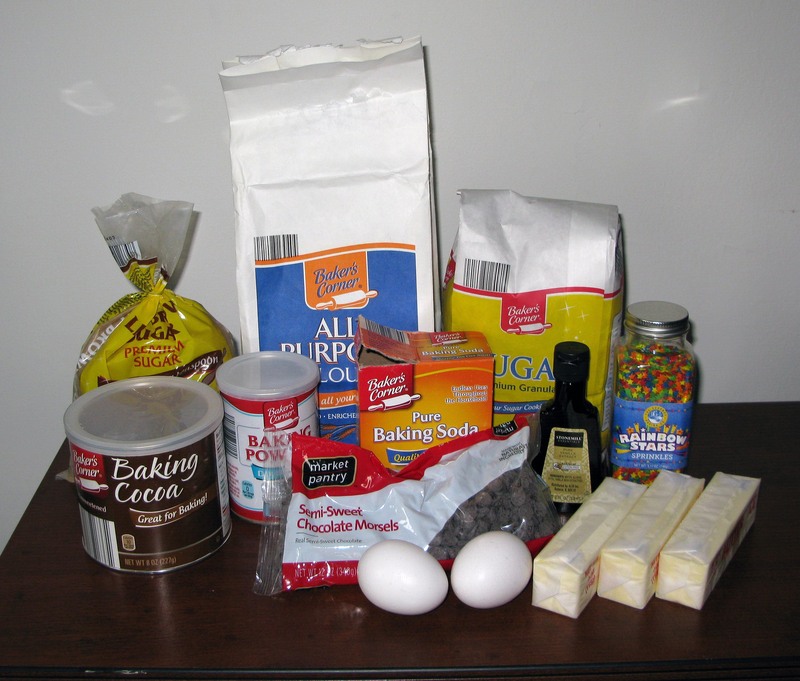 In a medium bowl, whisk together the flour, cocoa powder, baking soda, and baking powder until uniform. Set aside. 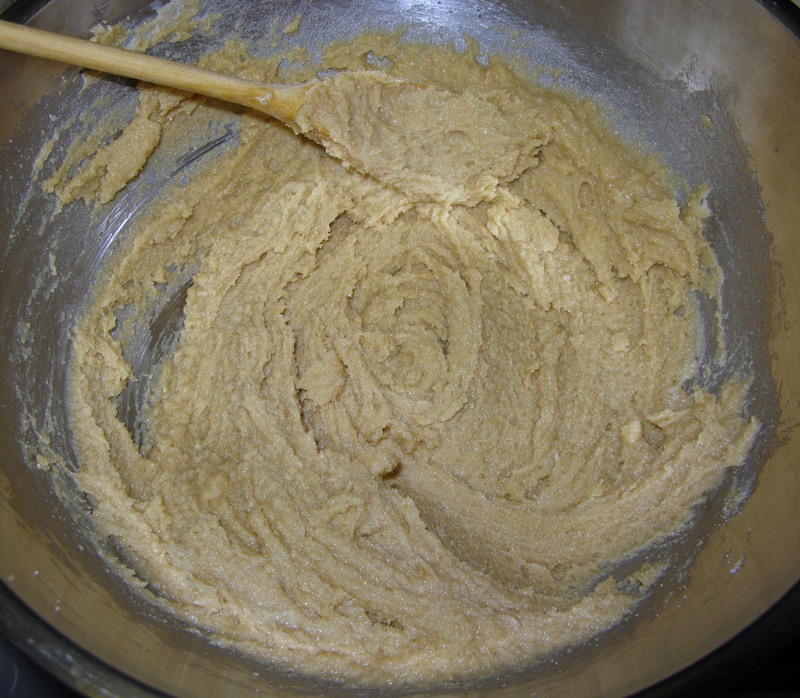 In a large mixing bowl, cream together the butter and sugars until smooth (I usually do this with a spoon, but you can use an electric mixer if you prefer). Add in the vanilla and eggs and stir or beat until fully-incorporated. 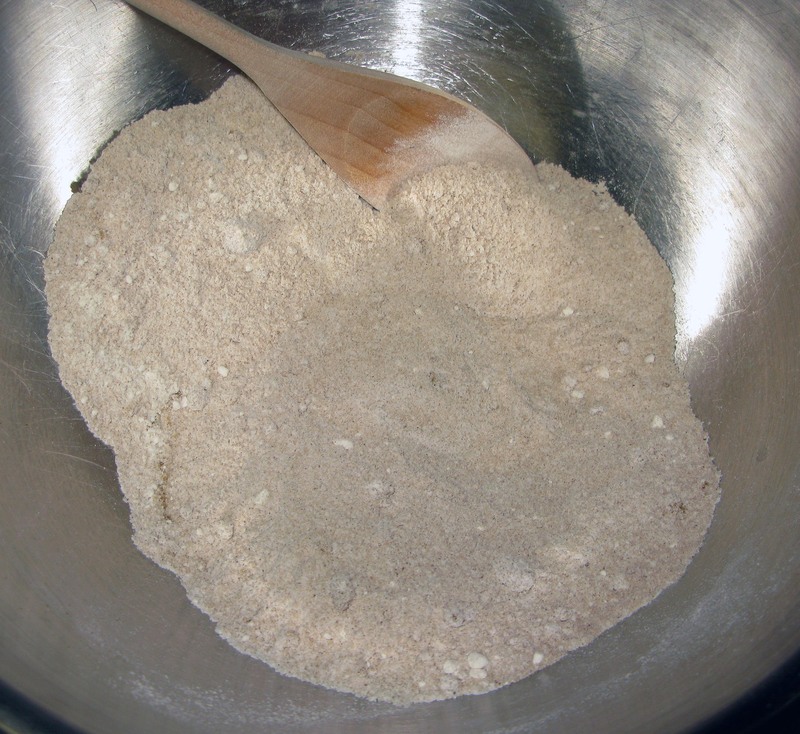 Approximately ⅓ at a time, stir the dry ingredients into the wet ingredients until they are fully-incorporated. I usually give up with the spoon for this part and just use my hands. I find it easier to get everything mixed in, and dough squishing can be pretty therapeutic. 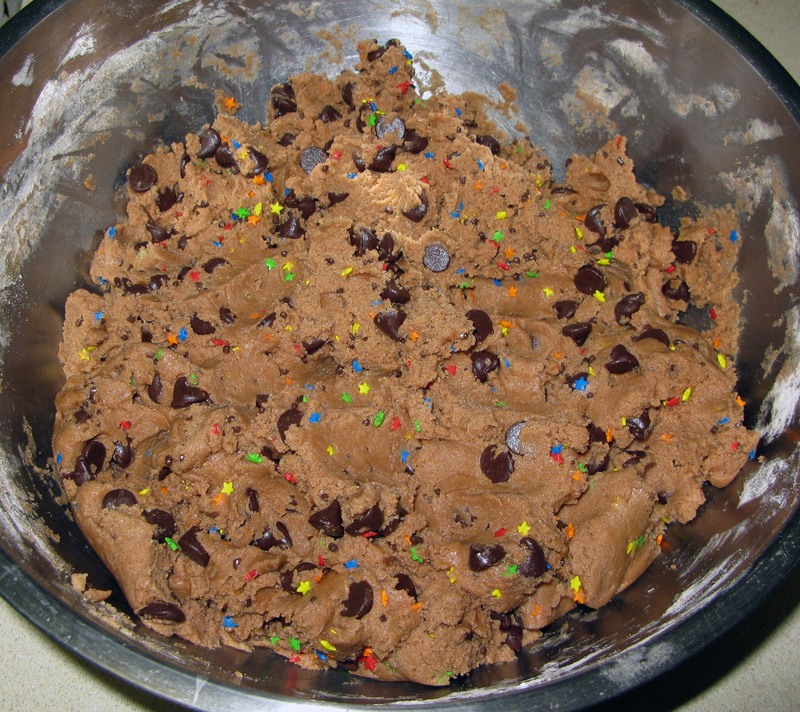 Stir in the chocolate chips and sprinkles until they are evenly distributed throughout the dough. 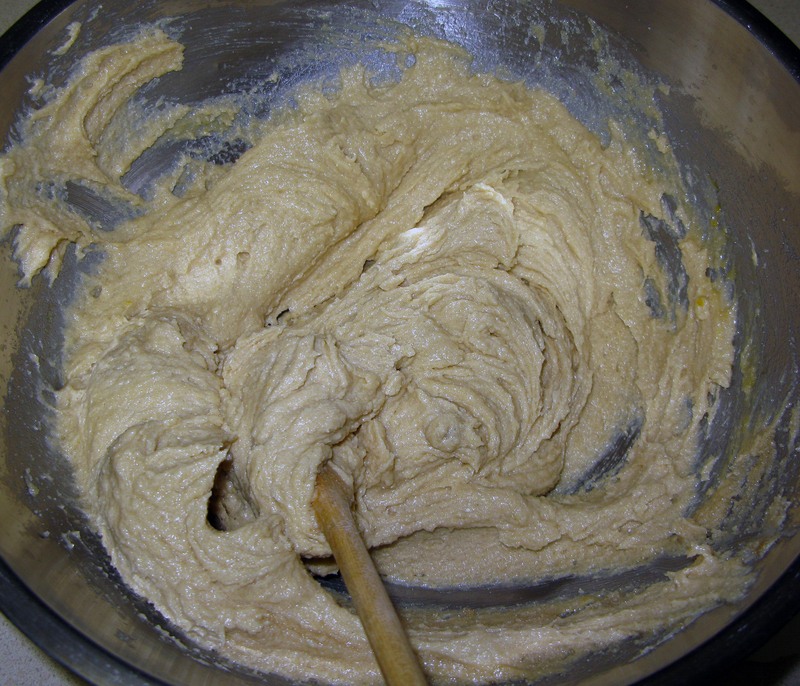 Using an ice cream scoop or ¼ cup measuring cup, form the dough into large balls (think hand ball-sized). 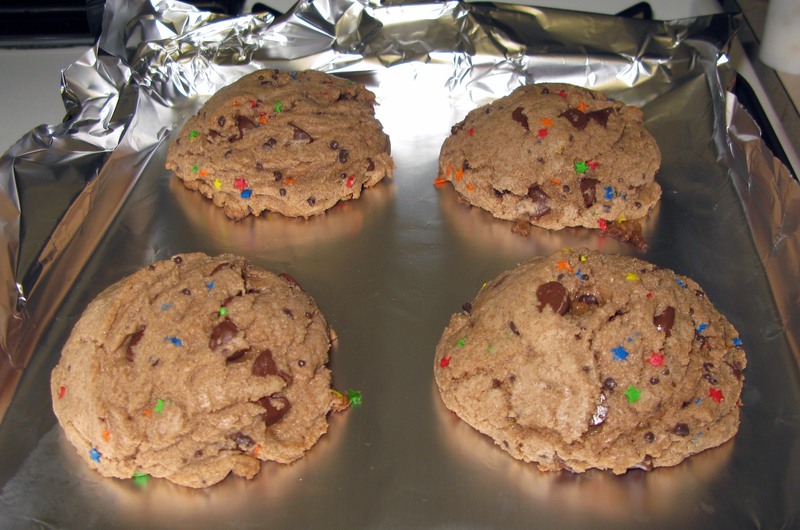 Arrange them on the cookie sheets approximately 2″ apart. Bake the cookies for 10-14 minutes, or until the edges juuuust start to brown and the tops look dry. Leave the cookies to cool for about 5 minutes on the cookie sheets, then remove them to cooling racks to cool as long as you can hold out (I probably made it about 20 minutes). Enjoy the fruits of your labor. You’ve earned it!